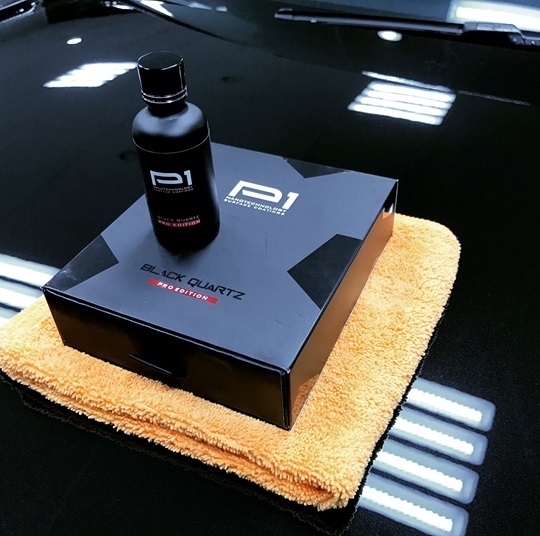 P1 Nanotechnology Black Quartz 10H is a new generation of nano ceramic coating that combines outstanding protection with durable elasticity. Formulated with the findest ingredients including more than 70% pure quartz with 99.9% purity and the most advanced nanotechnology Black Quartz offers supreme paintwork protection. Due to the unique formulation the coating is highly flexible and resistant to formation of microcracks caused by thermal expansion of the vehicles body. Black Quartz 10H sets above the usual 9H hardness which results in the highest level of protection against scratches, swirl marks, oxidation, corrosion, rusting, acid rains and chemicals. The coating leaves paintwork with a stunning ultra glossy and smooth finish.